via email on "bluestalktv 'at' gmail.com"
Fair play lads... should have watched it before the Embra game though. Yeah great stuff, but whats with the Stan Laural hair style from the Bill Heriley guy???????????? very enjoyable episode lads, well done. Whens the next one going up? Plenty to discuss with regard to last weekend and next weekend! nice one. Really enjoyed it. Fair play! simplythebest wrote: Yeah great stuff, but whats with the Stan Laural hair style from the Bill Heriley guy???????????? Episode two of Blues Talk tv. This week, a look back at the game against Edinburgh, and a look forward to the clash with Munster at the Aviva Stadium. If you have any comments or questions, you can either ask through our Wordpress site, PM or via email on "bluestalktv 'at' gmail.com"
Didn't see first episode, but second is very good. An interesting little venture. Nice idea, but I'm not convinced that it needs to be in a tv format. The sound quality is pretty ordinary and there's not a lot in the way of visuals. More of a print/blog concept maybe? Hippo wrote: Nice idea, but I'm not convinced that it needs to be in a tv format. The sound quality is pretty ordinary and there's not a lot in the way of visuals. More of a print/blog concept maybe? Early days, give the guys a chance. I'm sure they'll be trying new things as the weeks go on. 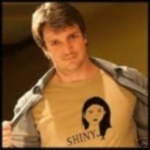 Donny B. wrote: Didn't see first episode, but second is very good. An interesting little venture. It's under the 2nd one, yah bleeden dose! I know, I just didn't watch it ye spanner!!!! There's lots of print stuff out there between this site and a few blogs. This is something a bit different and considering it is presumably all done on a shoestring I thought the production values were pretty good. I could hear it clearly even on my crappy laptop!! I know, I'm not trying to be harsh! Just my opinion. We'll see how things develop. Why am I reminded of Potterwatch? 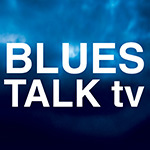 bluestalktv wrote: Episode two of Blues Talk tv. Really enjoying this but ya reckon (unless I'm missing it) you can release it as mp3 as well as video format? Would love this on the player on the stroll home from work this evening.